Nowadays most camera's produce so big photos like you could make a big banner with those. 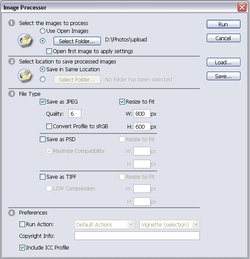 Inorder to upload photos to web to photo sharing services like Flickr or Picasa, or Social Networking sites such as Orkut and Facebook, we should reduce the image resolution ie (Width & Height) scale down the image so that it can be uploaded quick and easily. 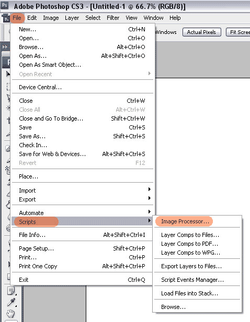 For those who have photoshop CS3 installed, there is a quick and easy way to scale the images in a batch. This is so simple you needn't be a tech savvy to do this. 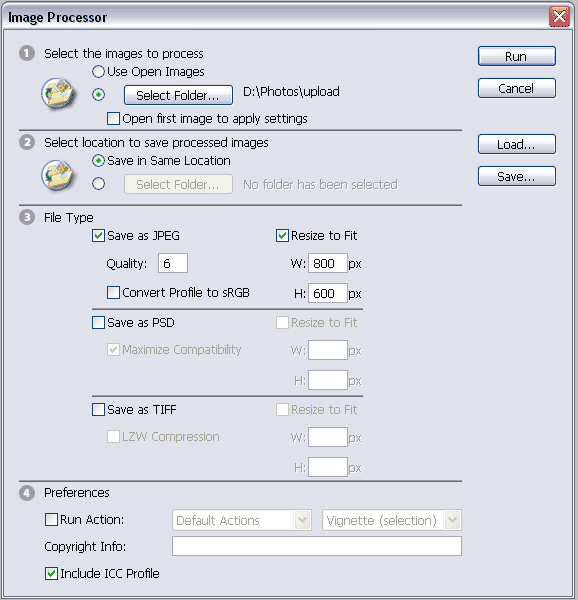 Press Select Folder to choose the source folder. The following image shows the conversion window.